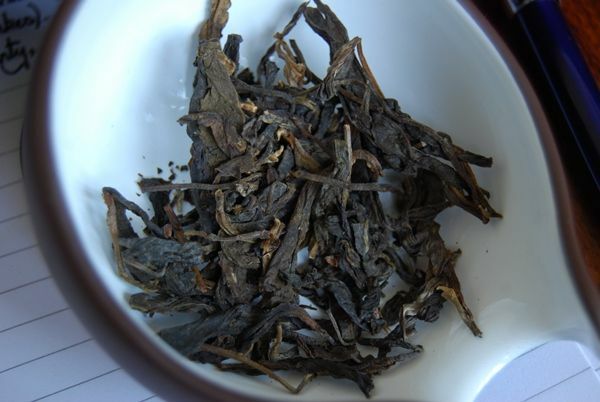 The Half-Dipper: 2011 Danzhen "Yiwu Guyun"
I previously mentioned the accidental contribution of the ol' Half-Dipper to the formation of white2tea, a new venture from the warrior-poet known only as "twodog2". This involves Xiao Yunqing, whom I met during a random walk through Maliandao, and whose outlet of the Taochaju franchise operates on the ground floor of the mall in which Fangmingyuan is based. Walking around Maliandao can get a little depressing, given that it's actually rather hard to find good cakes in the midst of all that Haiwan Laotongzhi, but these two shops are among my favourites. I've spent countless hours there - whenever visiting the city, I can often be found nipping out during a quiet hour, catching a taxi, and going to find some good tea at either of these places. I operate on the principle that good people look like good people, and that mean people look like mean people. It works well. I found Xiao Yunqing's shop, based on that principle, and he turned out to be a first-class character. As well as selling cakes from his parent Taochaju franchising company, he recently started to make his own, under the "Danzhen" brand. I wrote about some of these (see "Danzhen"). His cakes were extremely solid and very nicely priced at the time. It turns out that twodog2 read my articles about Mr. Xiao, and went to meet him. A partnership 'twixt the two of them was apparently struck, with the resulting offspring of the white2tea web-site, which sells some of the Danzhen cakes (now called "Taochaju"). 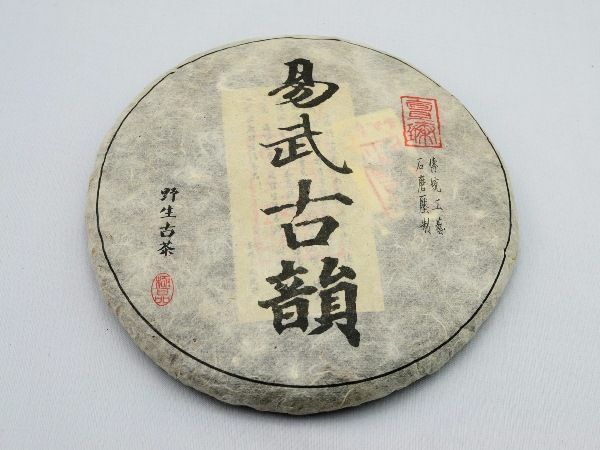 Xiao Yunqing has a separate Taochaju (franchise) web-site, which when I was writing last year just sold his parent company's cakes and not his own; therefore, white2tea seems like a good place (well, the only place) to buy some Danzhen cakes, if you are of the mind to do so. The combined good and bad news is that, as twodog2 tells me, the Danzhen cakes were so popular that Xiao Yunqing put the price up several times since I was there (autumn 2011), and has still managed to sell out of most of his range. This Yiwu cake was made by Yunqing after I left, as far as I can tell, using maocha from 2009-2011. The eponymous "guyun" refers to "ancient character / feeling", approximately, where "yun" is that difficult-to-translate word often written as "rhyme" in English (which is entirely unsatisfactory). So, this is a Guyun that I haven't tried so far. It looks nice: the leaves, as you might be able to tell from the above, are large and wholesome. You may not be able to detect, but can probably imagine, the low, flinty, mineral sweetness suggestive of age. One of the defining characteristics of Xiao Yunqing's cakes is that they have inertia: they take a while to get going, but, when they do, they are unstoppable. They have significant mass which needs to be accelerated to a suitable velocity. This cake is very much of this ilk - the opening infusion is quiet and sweet, building to a proper Yiwu sweetness by the third or fourth infusion. It is quite unusual in modern cakes to find this effect, and a genuine evolution from infusion to infusion can be an indicator that the leaves really have something within in them to impart (and, hopefully, for the action of the years to work upon). I often come across Yiwu cakes that are of a particular sub-type that I refer to as being "sweet, damp straw". Does that correspond to anything in your own experience? If so, then you may rank this Danzhen / Taochaju cake in that sub-type. For what it's worth, my cakes in this sub-type are aging really rather well; they seldom run out of steam, at least in the six or so years that I've been nurturing some of them. 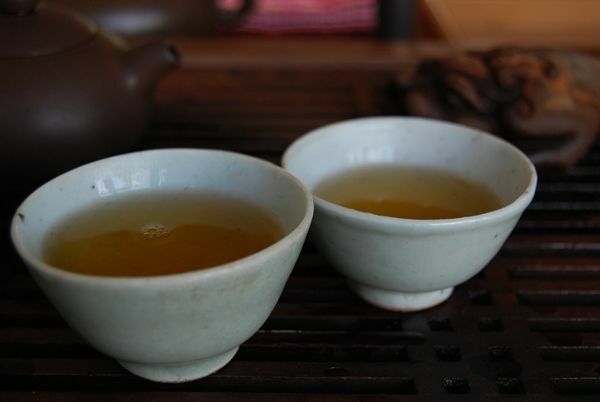 The solidity of the body gives the impression of being a substantial mouthful, once the tea has got up to speed. 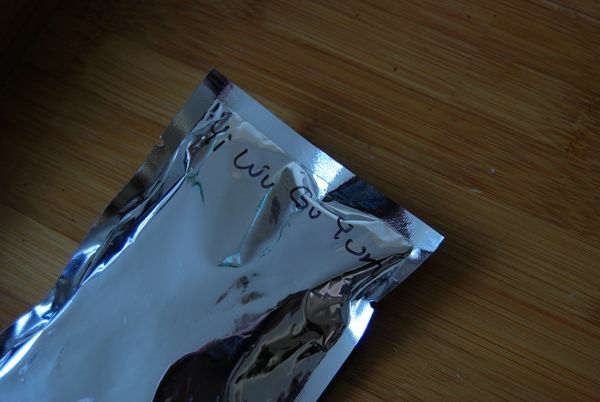 It has a constant thickness that lasts well throughout the infusions, and has a sweetness that is low and heavy, rather than being light and floral. It is not the most complex or enthralling of all Yiwu cakes, but it is as solid as a rock. The $58 asking price is reasonable for this cake. I didn't buy any, but, if you're looking for a solid Yiwu that has good potential, you might like to sample it. I had a very enjoyable session. Completely agree with the review. It's a relatively by the numbers Yiwu, but very Yiwu for all of that. Not going to wow you, but Yiwu that wows people do not cost $58. You can get older decent Yiwu (that has been lost in the shuffle)for that price, but newer Yiwu, well...it's not so mispriced in either direction. I wouldn't go out of my way to get it, but if you're one of those that like young yiwu for regular drinking, this is a rather good cake for slaughter. For aging? If one is going to spend the time and space on a tea, buy a *really* nice tea. Older is preferable, too. Maximize opportunity costs! However, I've also have tasted older versions of teas like this. Not likely going to bust in terms not gaining some oomph as it ages. I like Xiao's cakes - he does pick solid leaves. They're generally very good quality, and I am always reminded of his passionate flicking through his photo album, proudly pointing out photographs of him standing next to an infinity of trees, from all over the region. Xiao Yunqing is a man who likes his tea. 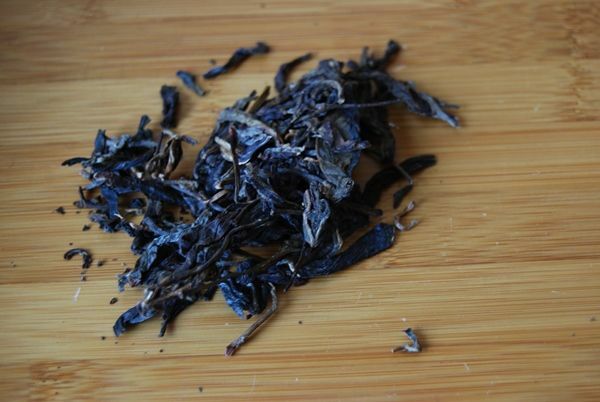 Drinking this tea right now, I also agree with what you write, but I can not say I'd find this tea considerably better than Yunnan Sourcing's Purple Yi Wu (which is way cheaper), if better at all. 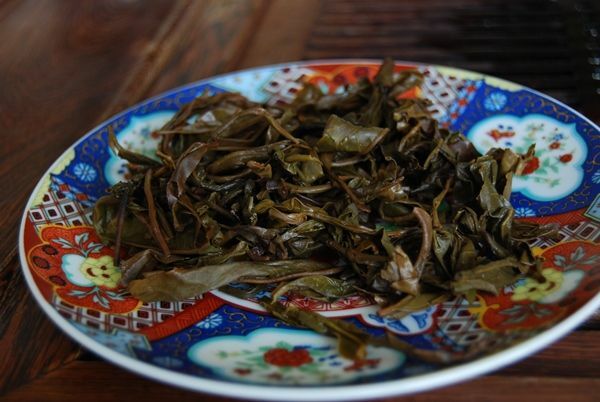 I think the teas share a common Yiwu subtype, while the Purple Yiwu may have more interesting taste at times and this Taochaju may be slightly more noticeable in mouth... I guess I'll try a 1:1 tester comparison tomorrow. I guess that $58 is a lot for such a quiet tea (from the point of view of almost absent cooling/tingling mouthfeel and quite light and static qi).